CBRE announced that Jeffrey Dunne, Steven Bardsley and Travis Langer of CBRE’s Institutional Properties Group, in collaboration with Philip Heilpern and Robert Seidenberg of the CBRE Long Island office, represented institutional investors advised by J.P. Morgan Asset Management, Treeline Companies and KABR in the sale of 3HQ in Melville, N.Y. for $69 million. The team also procured the buyer for the suburban office building. 3HQ is a 408,917-square-foot office building that is 99 percent leased to high-credit tenants, including Northwell Health, Travelers and Santander Bank. Located along the Route 110 corridor, the property recently underwent a major capital renovation program which included significant upgrades to the café, the bathrooms and the conference room, along with the elevators and common areas. “Our business plan for 3HQ was to invest in enhancing the profile of the building through major capital improvements, including a full elevator modernization, a new main lobby design and a modern café,” said Michael Schor, Chief Investment officer of Treeline. Kinsmen Property Group has purchased 156-160 Bowery for $29.5 million from LBG Enterprises LLC in an off-market deal. The purchase extends Kinsmen’s footprint in the neighborhood. From 156 to 166 Bowery, the owner-manager now has 150 feet of frontage at one of New York’s busiest crossroads. The properties represent a $53 million assemblage, according to a press release issued by Kinsmen. “This space in The Bowery and Nolita presents an exciting opportunity to contribute to a true New York live-work neighborhood with a dynamic past and present,” said Ari Zagdanski of Kinsmen. Though there are no immediate plans for development of Kinsmen’s Bowery holdings, which lie in an as-of-right zone, 50 percent of the air rights for the buildings remain unused. As a result, there are long-term plans to expand on the site in some capacity, though the current commercial tenants were made offers to remain in occupancy. Kinsmen Property Group is a joint venture between two Toronto-based firms — Madison Group and State Building Group. Its New York holdings iclude The Icon in Hell’s Kitchen, 156-166 Bowery in Nolita and 62-64 3rd Avenue in the East Village. Time Equities Inc. (TEI) announced two acquisitions in Kansas City, Missouri. The firm acquired the commercial condominium portion of SoHo Lofts, SoHo Commercial Lofts, for $3.745 million. The acquisition includes nine commercial condominium units, three parking condominium units with 43 parking spaces and a 139-space parking garage. 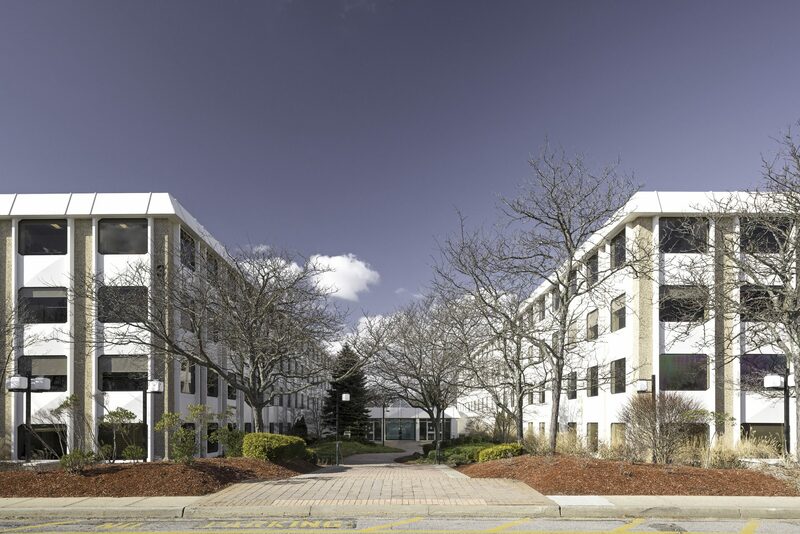 Seperately, TEI announced the acquisition of the 380-unit Plaza East apartment and townhome complex for $17.1 million. The New York based real estate firm, led by Francis Greenburger, has been been very active in Kansas City, Missouri, acquiring five residential assets in the last two years; SoHo Commercial Lofts represents the firm’s first commercial acquisition the region. “Time Equities is bullish on both Kansas City markets, in Kansas and Missouri. Income-producing quality assets like Plaza East and SoHo Commercial Lofts allow us further diversify our portfolio of long-term assets that will appreciate in value over time,” said Clifton Martin, Acquisitions and Assets Manager at Time Equities. Holliday Fenoglio Fowler announced the $51 million sale of 700 Union Boulevard, a 382,596 s/f newly constructed industrial building in Totowa, New Jersey. 700 Union Boulevard in Totowa, New Jersey. The HFF team marketed the property on behalf of the seller, The Hampshire Companies. The property was marketed along with a $146.85 million, six-building industrial portfolio totaling 1.2 million square feet in Northern New Jersey, the sale of which was closed by HFF in 2017. Situated on 26 acres, 700 Union Boulevard is just off Interstate 80 and less than 13 miles from the New Jersey Turnpike, which provides easy access to the rest of the northern part of New Jersey and New York City. The single-story building was completed in 2018. The HFF team included executive managing director Joe B. Thornton, Jr., senior managing directors Jon Mikula and Jose Cruz and directors Marc Duval and Jordan Avanzato.